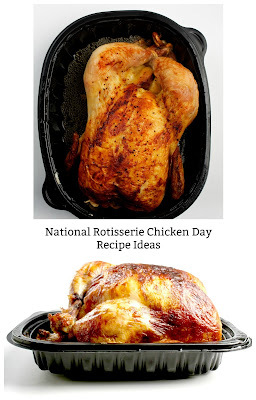 It's National Rotisserie Chicken Day today, June 2nd, and what better way to celebrate, then to share some great recipes to add to your menu planner! These are easy to pull together by starting with a pre-cooked Rotisserie Chicken, so shortcut that cooking step and get your meals on the table faster by deboning and dicing up a store bought precooked rotisserie chicken! Jan's Tip: I keep one in the freezer at all times. I pop it into the crockpot frozen and put it on warm if I'll be gone all day at work, and just add a touch of water to the bottom, along with all the globs of frozen juice at the bottom of the container. 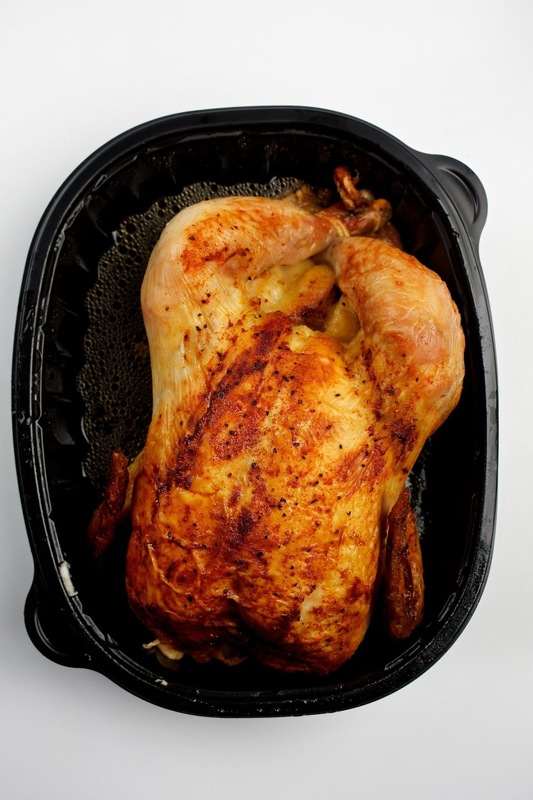 I come home to a perfecty hot chicken with wonderful broth ready to eat or debone and turn into a quick meal in minutes! Made with a homemade Chiplotle Adobo Enchilada Sauce, these are not your ordinary "from a can" enchilada sauce tasting meals! 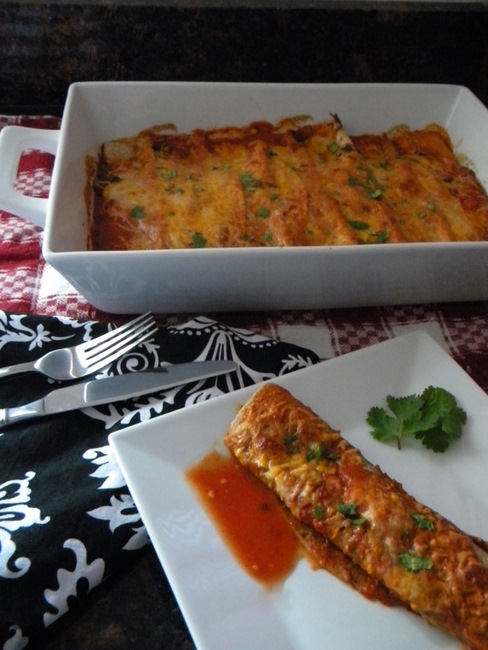 She blends 2 comfort foods into one great meal! All the flavors you love in your pot pie, but also a great crispy french bread crust? Yes please! This salad just screams summer! The creaminess of Avocados is blended with chicken and the burst of blueberry favor over a bed of cripsy greens, then a light lemon and feta dressing? Just a burst of sunshine I could eat for lunch and dinner! 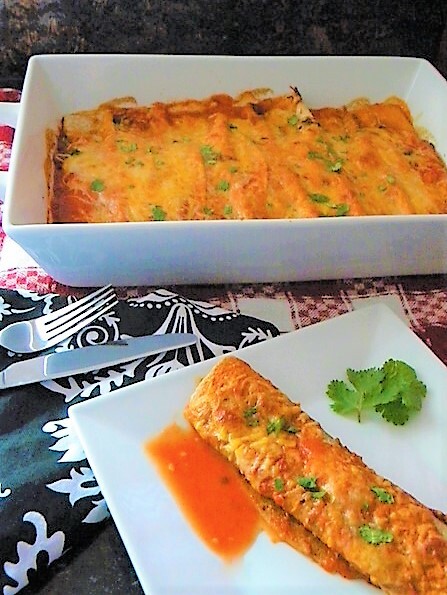 This flavorful and fun dinner is made by making Tinga: Shredded chicken mixed with a chipotle sauce, and then instead of a traditional chalupa wrap, she served them in a fun flat bottomed boat! Way more stuffing to fill them up with my family would say! Her what's for Dinner Wednesday's often involve easy meals she can transport out to the field, and these chicken crescents are something she can keep warm and take straight out to to anyone working harvest or planting! (and she is often on the tractor herself!) This will keep the energy up during those long hours! What could be better than mixing up 2 favorite foods.. buffalo chicken with macaroni and cheese? This pasta dish is full of flavor! Then go get lost in her other recipes for awhile, I always am! Yummo! This light and healthy dinner is just up my alley! 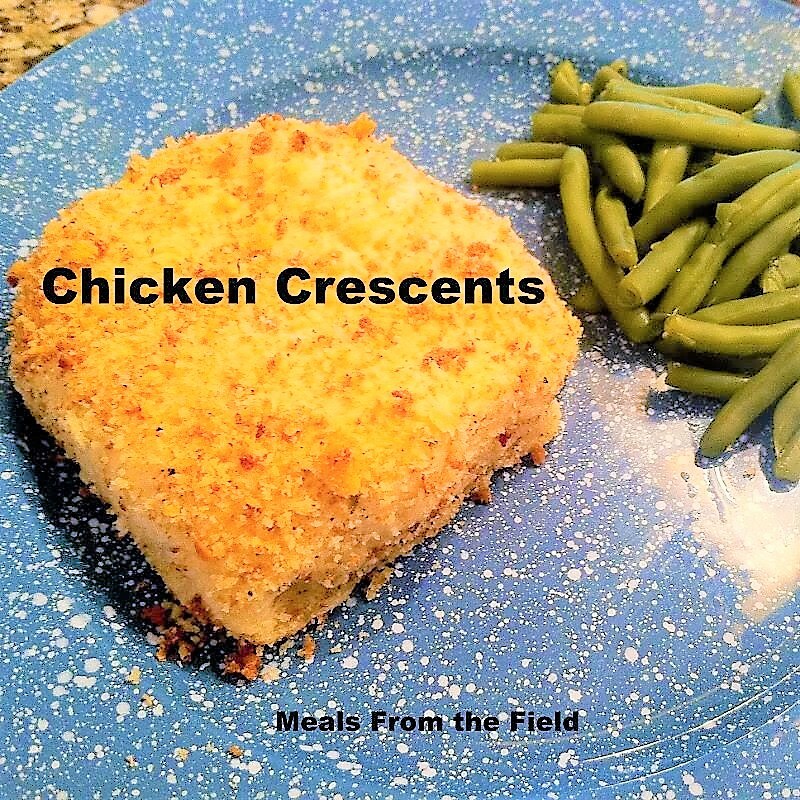 The original recipe starts with raw chicken, but I have made this by skipping the step of cooking the chicken and simply adding it in at the end with some seasoning and it turns out delish! This post has a great video to go with it! If you have't already fallen in love with Plain Chicken's website.. you soon will! 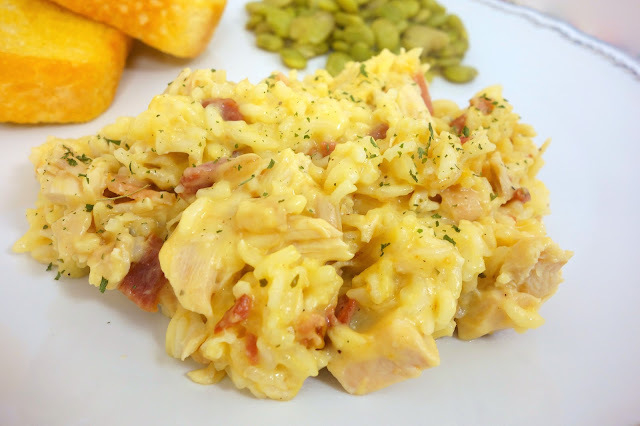 This version of chicken and rice starts with our beloved precooked chicken and turns a classic comfort food of chicken and rice and turns it up a notch with cheesy, ranchy goodness! Oh my! easy to get on the table in 30 minutes or so too! 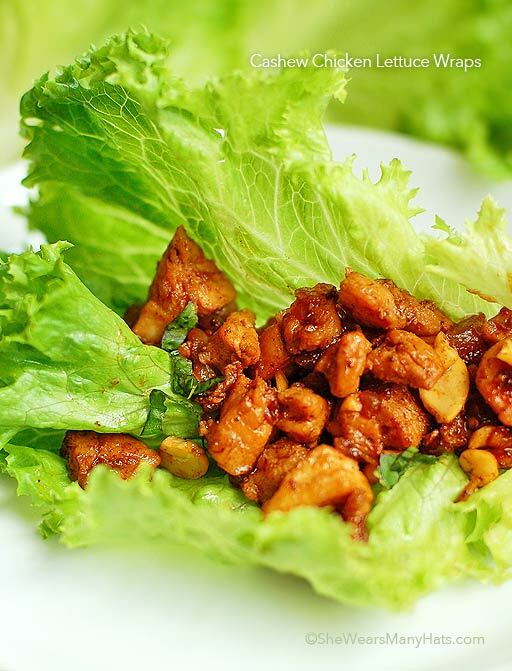 I love Cashew Chicken an I love eating them in these crisp lettuce wraps! This is another recipe where the orignal starts with raw chicken,but you can adapt it (and i have many times) to your precooked chicken, by adding it to the pan with the sauce and reduce the cooking time to just a minute or two! 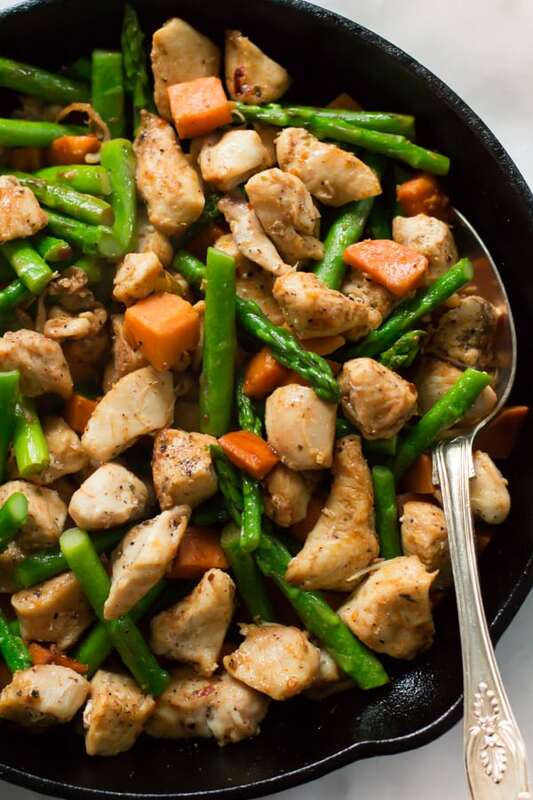 This dinner pulls together literally in minutes! So scrumptious! and Our final idea for you is this wonderful summery meal! I could eat this meal once a week at least, partly because I have the veggies bursting from my garden! 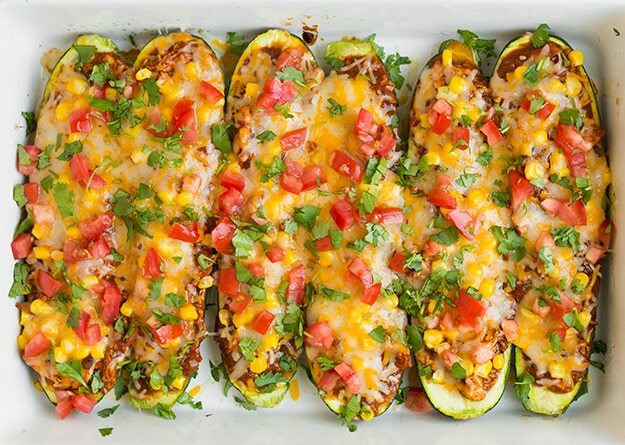 I mean doesn't this look flavorful and totally NOT boring zucchini! Take this for lunch and watch your coworkers get jealous.. is all I'm saying!